Days are getting longer and daffodils are already starting to peek. 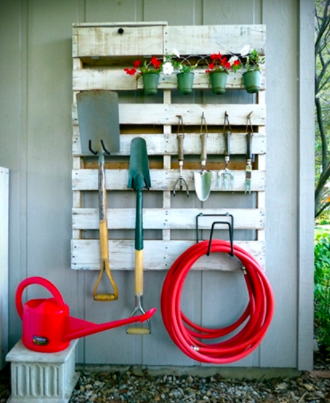 Is your garden ready for Spring? 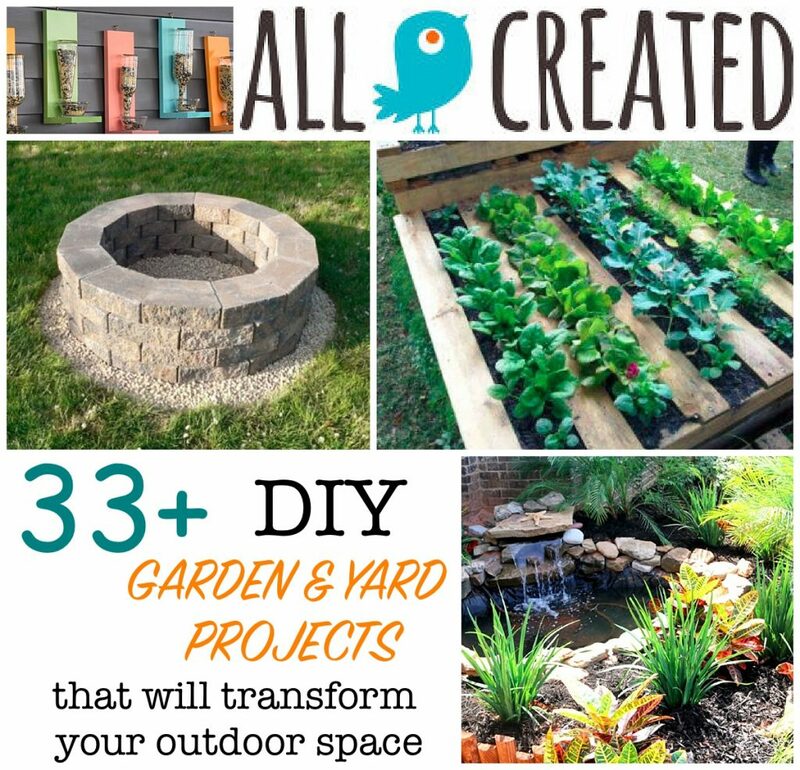 Here are some great, affordable, DIY backyard projects to get your oasis ready for months of planting and entertaining! In many areas of the country, the groundhog had it SO wrong! Just when he told us that we had 6 more weeks of winter, the temps rose and they have hardly gone back down since. We are certainly not complaining much, especially since the kids used up all of their school snow days during the 1st 2 weeks of January. But now Spring is knocking hard at our doors and we are not at all caught up on yard maintenance and garden preparation! No worries! We have all sorts of creative and affordable ideas, projects and solutions to get your yards in tip-top shape. We’ve got garden prep and planting, cool landscaping and entertaining features and even creative critter control and feeding. 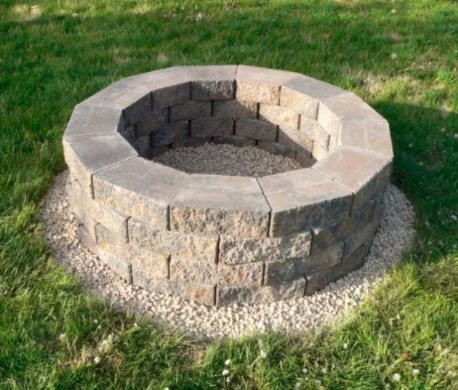 With all of these fantastic and easy tutorials, this might finally be the year for you to build that firepit of which you have been dreaming! 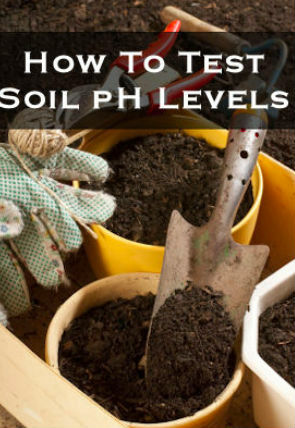 We really shouldn’t even think about planting anything until we know what kind of soil we have. This DIY test allows us to find out quickly and easily so that we can make necessary adjustments before planting season starts! 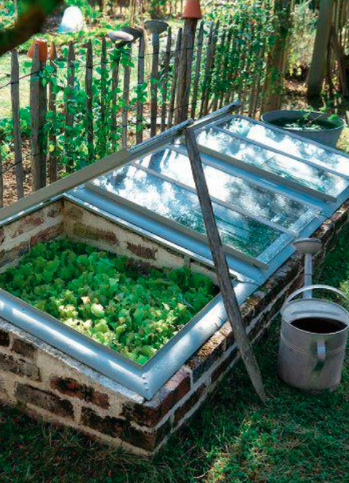 This is downright ingenious and is a great solution for smaller plots. So clever and no noise pollution! Don’t throw out the tea bags! 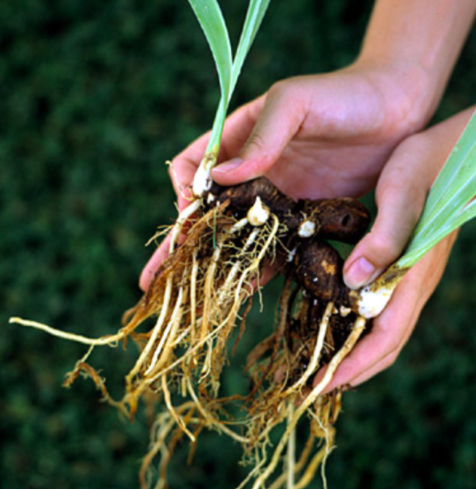 As you are planting, take a few moments to plant some in your beds to enrich soil, repell pests and even fight weeds! Teachers and parents, you will love this one! Keep a stash of pencil shavings for your flowers and veggies. 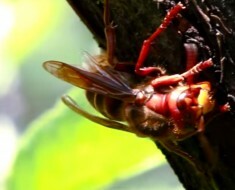 Pencils are made of cedar, which pests hate. 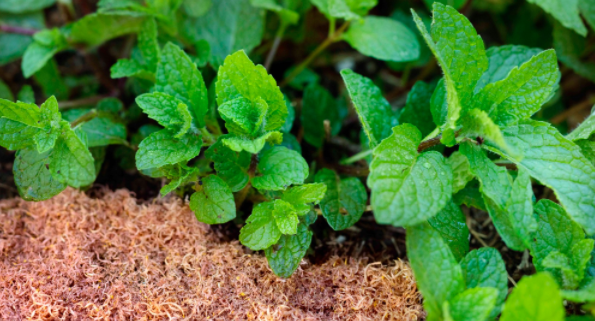 Place them around plants or in compost and enjoy a chemical-free garden. 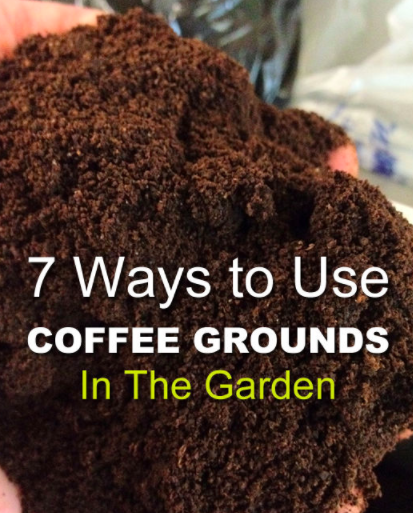 Who needs expensive soil additives and fertilizers when you can recycle your morning cup of Joe? Pop over here for the complete list of handy tips. 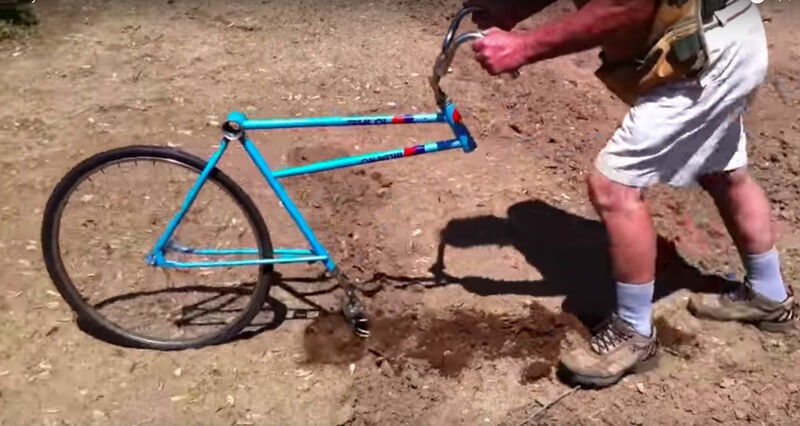 This hack requires a little patience, but it sure beats digging up grass! 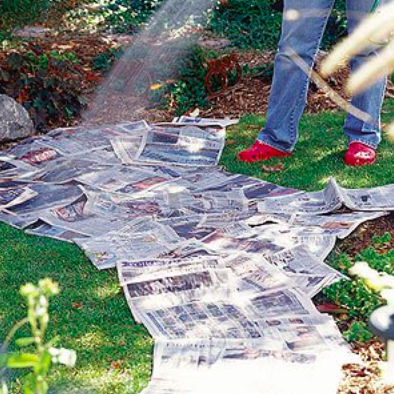 Click here to learn how to use newspaper to create a new bedding area in your yard, with minimal labor. Planning a garden should be more than just deciding how many peas you are going to plant. The healthiest and most abundant gardens use companion planting strategies, which allow one species’ positive attributes to help the neighboring plant. 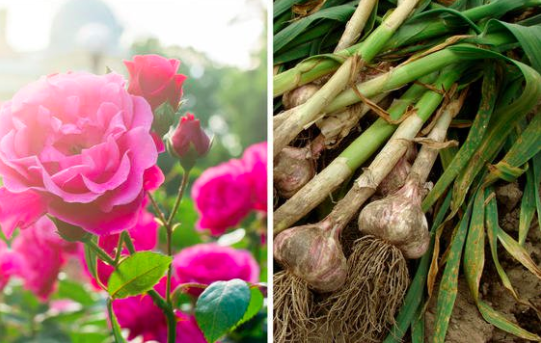 Rodale’s Organic Life has a helpful list that will get you started toward a magnificent garden! How does YOUR garden grow? How about upside down and in the shape of a ball!? 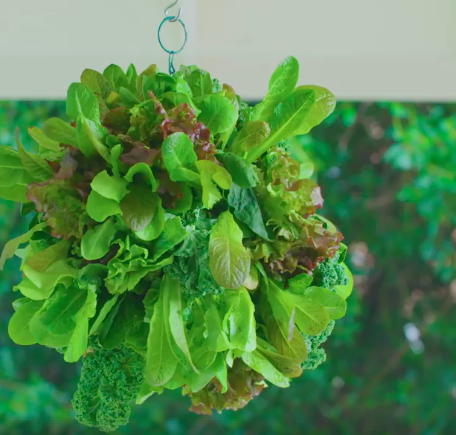 This lettuce sphere is just as pretty as it is yummy. And it’s simple to make. Check out the video from HGTV. WATCH: A refreshing summer salad, at your fingertips. 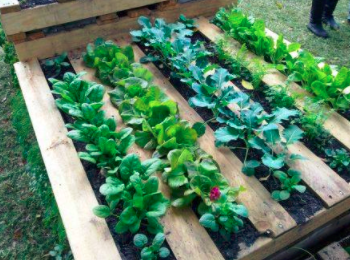 Turn any area of the yard into a garden, using a pallet and some landscaping fabric. 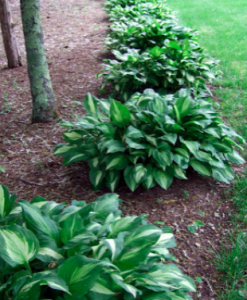 Cuts down on weeds and keeps plants nicely spaced in their rows! Visit here to learn how. Believe it or not, your tomatoes are ticklish! And they will pay you back if you just give them a little wiggle every once in a while. 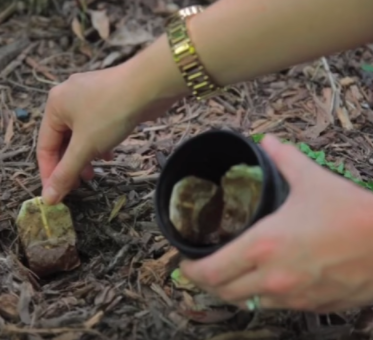 MI Gardener shows you how it’s done and why it works! Giant, lush container flowers don’t have to break the bank! A little DIY know-how and some basic hardware materials can put this incredible mountain of petunias on your deck this summer! 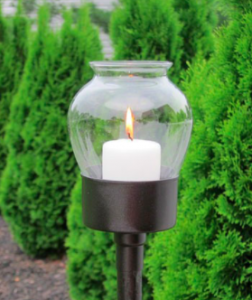 Visit Alternative Energy Gardening for the complete step-by-step instructions. 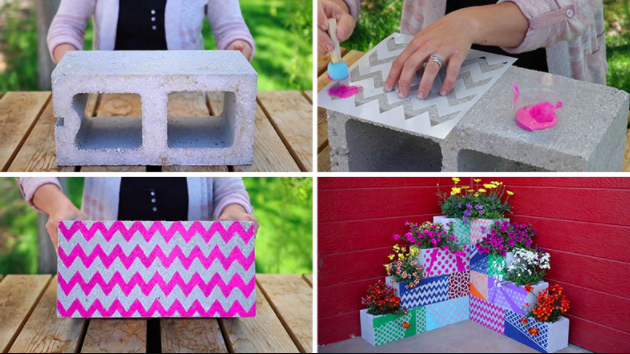 6 – Build a planter wall using cinder blocks and paint brushes! Look how easy it is to add a colorful and functional architectural feature to your patio! Choose whatever colors and plants you love the most for a stunning addition to your yard. 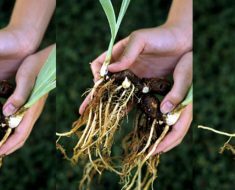 Before you head to the nursery, check your yard to see if you can divide some plants that you already have. You might even ask your neighbors if they have some they would like to swap with you! Visit here to see what and when to divide. There’s nothing more relaxing than the sound of flowing water. 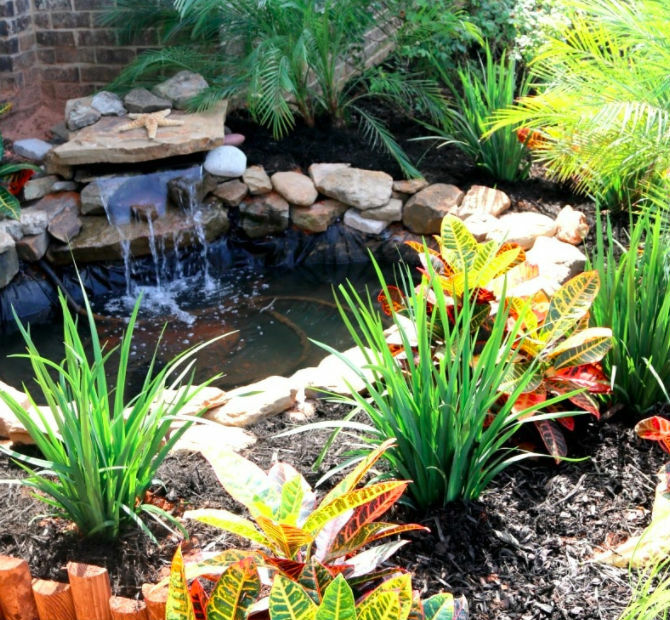 Take a weekend to turn a corner of your yard into an oasis like this one. You won’t be sorry. Visit Mom Dot to see exactly how they did it. 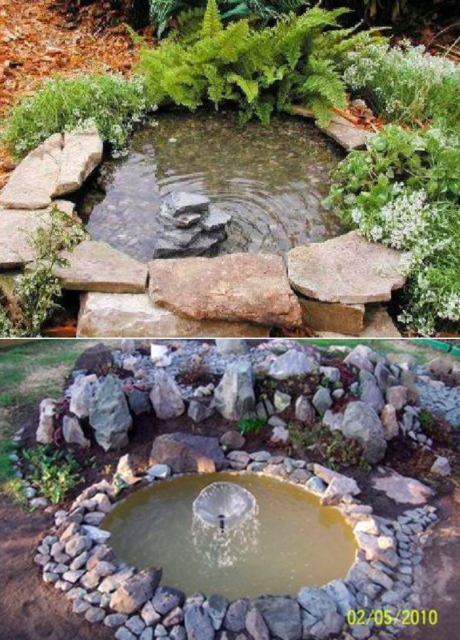 If a smaller pond is more your speed, check out these clever DIYs which turn old tires into sweet little backyard water features. Firepits are so popular, many new homes include one as a standard feature! For those of us who don’t have that luxury, you can make your own gorgeous pit at a fraction of the cost of a professionally built version. Pop over here to see how easily it’s done! 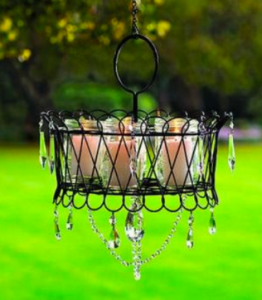 If you want to add some lovely light and personality to your outdoor space, this is a clever, budget-friendly idea that is perfect for entertaining. Visit here for the easy instructions. 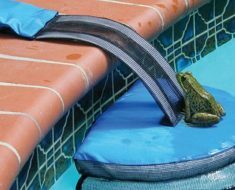 Don’t spend your money on a generic and expensive hammock when you can recycle a favorite beach towel into the perfect lounging spot. 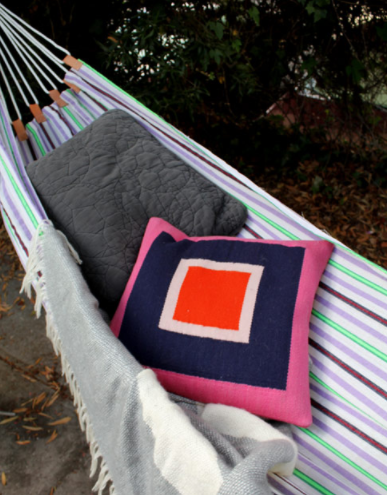 With just a few sewing skills, this nap space can be yours! Visit here for the details. 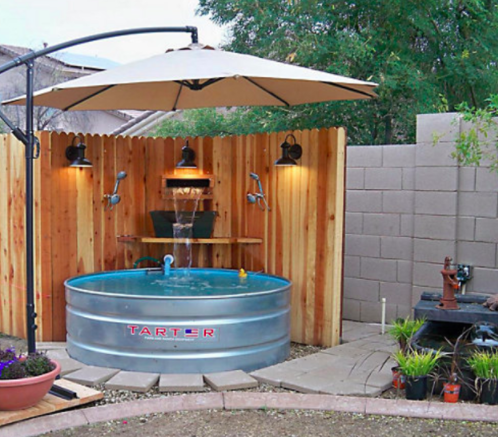 Just when you thought you’d seen it all…someone created a people pool out of a stock tank. And look how charming it is! Check out the scoop here! Hold the phone. 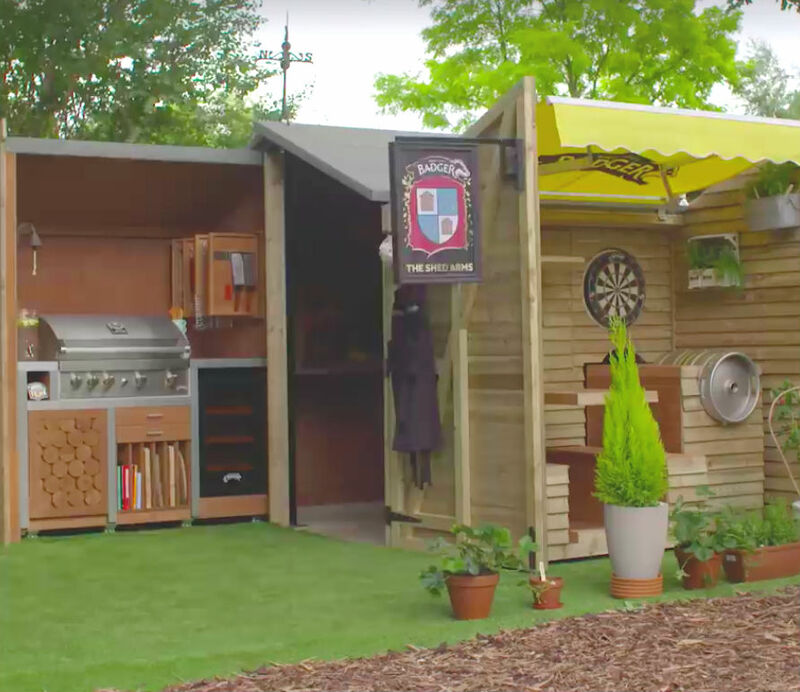 If you are a backyard entertainer, you are not going to believe this one. 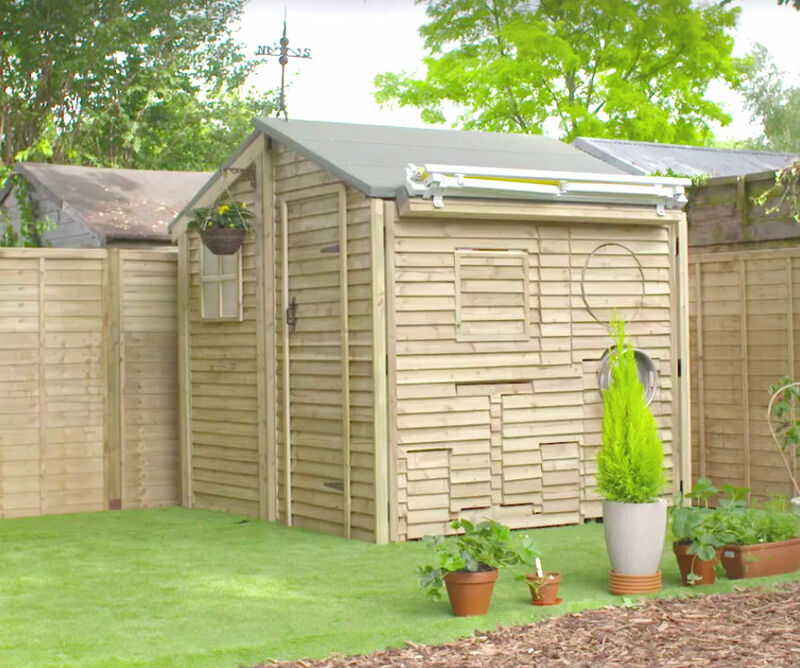 On first glance, this looks like an ordinary shed. Check out this list of even more great ideas for smart storage and decor. The best part is that you can make all of them yourself! See the complete list here. Our feathered friends are starting to come out and bask in the sun. 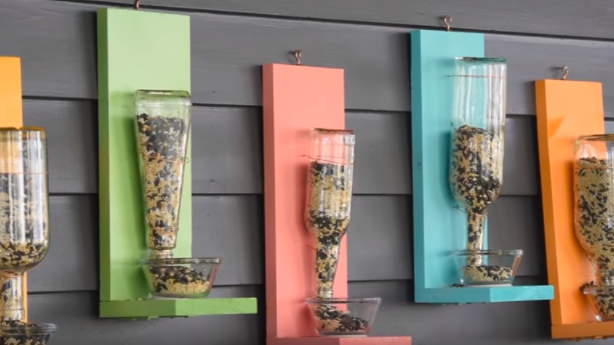 As they are working on nest-building and egg-laying, we can keep them fortified with these cute and colorful upcycled birdfeeders. Pop over here to get the easy instructions. 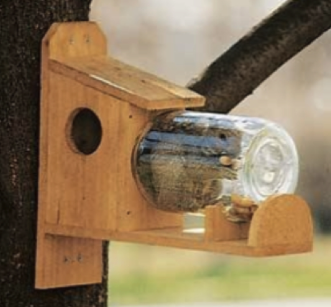 For even more great DIY birdfeeder projects, here’s a list of 15 ideas that will keep the songbirds coming back for more and more. If you have Hosta, you probably know the frustration of seeing those gorgeous mounds of foliage nibbled to shreds by overnight visitors. Did you know that a little bit of Irish Spring soap will help you solve that problem? Read all about it here! 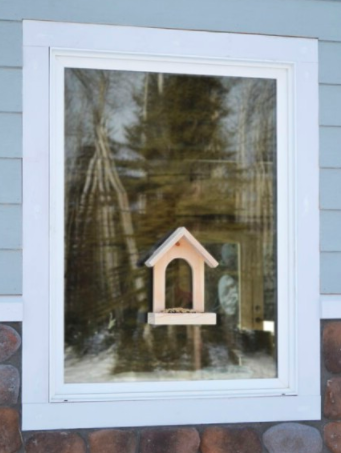 Love them or hate them, squirrels are your neighbors and they are probably not going anywhere. So why not give them something productive to do? 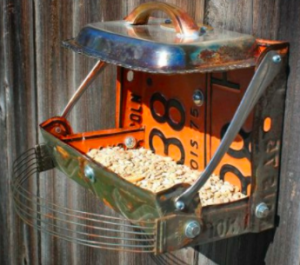 Here are 6 ideas for feeders built just for them. If you’re lucky, these might just keep them away from the birdfeeders! We hope you found some DIY backyard projects that you can put to use in your outdoor space. Warmer weather is around the corner and these ideas will have you ready for planting and entertaining throughout the coming seasons! 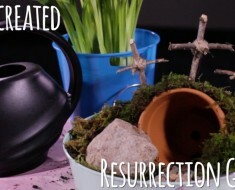 This Resurrection Garden Is a Perfect Way To Teach Kids About Jesus! 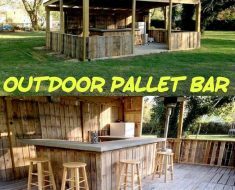 DIY Pallet Bar! Who Knew.